Being a True Rewards member gives you insider access to the best of Golden Entertainment at our 130+ locations that offer world-class experiences at a premium value. With True Rewards, you can earn and redeem points at any of our properties all with one card. And you won’t have to deal with any of that fine print nonsense and confusing language that comes with other rewards programs. Check your points, tier status and more at any time when you activate your account online. Whether you’re on Las Vegas Boulevard, at your neighborhood tavern or making a grocery run, you can earn points on your True Rewards card by staying, dining or playing at any of our locations in Nevada or Maryland. Redeem your points where you earn them or visit our casinos, taverns or participating supermarkets to redeem. The more you enjoy the real entertainment offered at our resorts, casinos, taverns and participating supermarkets, the more points you'll earn and benefits you’ll receive. But whether you’re True, Loyal, Solid, Legit or Epic, you’re always Golden. Property-specific benefits are available at each casino True Rewards Center or each participating neighborhood tavern or supermarket. Earn True Rewards points doing the things you enjoy most. Yeah, it’s really that easy. These are your points – you’ve earned ’em. Now, redeem YOUR POINTS, YOUR WAY, doing what you love most. Whether you prefer the rush of a slot machine, cleaning up with a fierce poker face or successfully spelling “BINGO,” you get to earn points your way at any of our resorts, casinos, taverns and participating supermarkets. Whether you're craving comfort food or comfortable prices (or both),you can satisfy your appetite and earn points enjoying the delicious dining options at any of our resort casino or tavern locations. Redeem YOUR POINTS, YOUR WAY at any of our eight casinos located in Nevada and Maryland, our 60+ neighborhood taverns in Nevada or our 60+ participating grocery stores in Nevada. Prefer to redeem your points at one of our bars or restaurants or simply receive cash back at one of our resort casinos? Not a problem. You can redeem your points at participating bars or restaurants. You can also redeem points with a cash back option. We think it’s time for you to get the most out of your rewards program. That’s why we've established partnerships with local, regional and national brands you love, so you can earn rewards and gain access to exclusive benefits and offers. As a True Rewards member, you will have the opportunity to use your points and redeem earned points for grocery gift cards in participating Smith’s supermarkets in the Las Vegas Valley. As a True Rewards member, you will have the opportunity to use your points and redeem earned points for grocery gift cards in participating Albertsons supermarkets in the Las Vegas Valley. As a True Rewards member, you’ll will periodically (dependent on tier) be awarded ride credits to be used exclusively through Lyft ride sharing services. As a True Rewards member, you can show your card for up to 20% off discounts on car rentals. Ready To Become A True Rewards Member? Sign up at a rewards center at any of our Golden Entertainment locations. Must be 21+ with valid government-issued ID. If you are already a member of ace | PLAY, Golden Rewards, Beer & Bites, Checkout Rewards, Gold Mine or Rocky Gap Rewards program, it’s time to make the switch to True Rewards. Get your new True Rewards card at a rewards center within any Golden Entertainment property. Just bring your valid government-issued ID and current rewards card. Any existing points you have on your current card will carry over for a one-to-one transfer. Activate your account and enter your True Rewards number and PIN to get started. Once you activate your account, you have unlocked your personalized web portal where you can check your points, tier status, offers and account details at any time. Still have questions about True Rewards? I already have an ace | PLAY, Golden Rewards, Beer & Bites, Checkout Rewards, Gold Mine or Rocky Gap rewards card. Do I need to become a True Rewards member? Yes. At the time your favorite location goes live with True Rewards, your current card will no longer work. You will receive correspondence in early 2019 regarding go-live by location and we encourage you to come to a Golden Entertainment location to make the switch as soon as your preferred destination goes live with True Rewards. What are tier points and how do I earn them? Tier points are BASE points earned which are used to determine your tier level (True, Loyal, Solid, Legit or Epic). Base points do not include multiplied points or adjusted points. 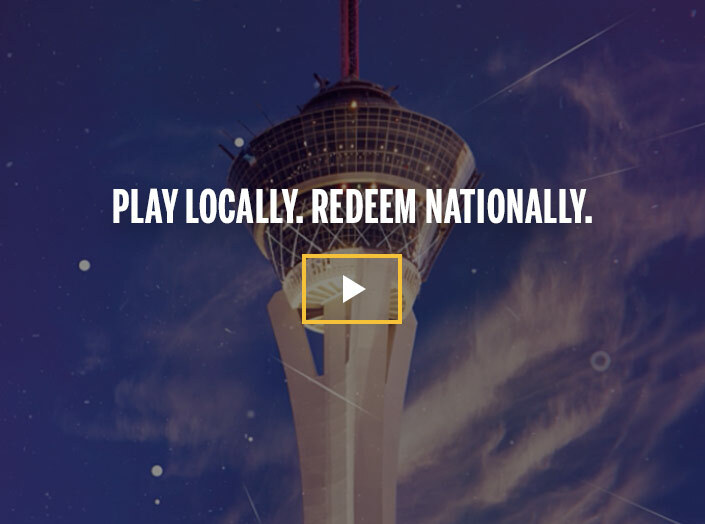 You can earn points when you play or dine at any Golden Entertainment location. Select casino bars and restaurants apply. At which Golden Entertainment locations can I earn and redeem True Rewards points? True Rewards points can be earned and redeemed at any Golden Entertainment casino, tavern or participating grocery store. See the full list of Golden Entertainment locations here. How do I achieve the next tier? You'll advance through the tiers by earning base points during a 6-month calendar (Jan-Jun, Jul-Dec) cycle for locals and 12-month calendar (Jan-Dec) cycle for non-locals that starts the day you’re assigned a tier level. Once you achieve a certain tier level, it will remain valid for the remainder of your respective (local or non-local) earning period and the following earning period. You can sign in to your personalized web portal at any time to track tier status. Points will expire after 13 months of inactivity. Where and how can I spend my points? True Rewards points can be earned and redeemed at any Golden Entertainment property, and on select True Rewards partners products and services. Select restaurants at casinos do not apply. How do I earn points for purchases at bars and restaurants? Keep your card handy to show at the time of a transaction, your server or other Golden Entertainment team member will swipe your True Rewards card at time of transaction.